This podcast kicks off with some modern clarinet work by Oran Etkin and later in the show from Anat Cohen. In the middle is a new album by Greg Abate with the late Phil Woods in one of his last recordings. A vocal set follows with Luciana Souza, Cyrille Aimee, and Norah Jones (with new Charles Lloyd). Some fusion to finish the podcast with two Frank's - Varella and Zappa. Some awesome modern jazz guitar is featured in this podcast. We hear from Kevin Eubanks (Dave Holland), Bill Frisell, Larry Coryell and John McLaughlin (Miroslav Vitous). At the end of the podcast is a new album from Charles Lloyd, featuring more great guitar from Frisell and the new fusion sound of Manuel Valera. 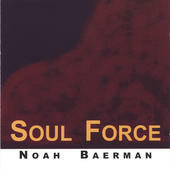 This tribute podcast recorded on the birthday of Martin Luther King Jr. features music by Noah Baerman from his 2005 release dedicated to the life of the greatest American civil rights leader. That is followed by Nina Simone's tribute to Dr. King. David Bowie is also remembered with music from his final album Blackstar. We hear from Donny McCaslin who collaborated with Bowie on this recording, and some jazz covers of Bowie's work. 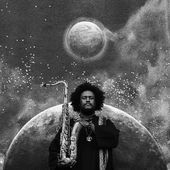 Start with some heavy funk, mix in some straight ahead jazz and blues, throw in modern jazz and fusion, and you have this week's podcast. This podcast previews some live music that will be happening live at the Baby Grand Jazz series from the Hartford Public Library. We go on a world tour with Edmar Casteneda (Columbia), Sinan Bakir (Turkey), and Alon Nechushtan (Israel). Sunna Gunnlags from Iceland, and Ingred Jensen continues the international vibe. Jazz is an American art form at its roots, so we have Branford Marsalis and Miles Davis represented.